Royalties: stylish socks of the highest quality. Made in France. Designed for everywhere. 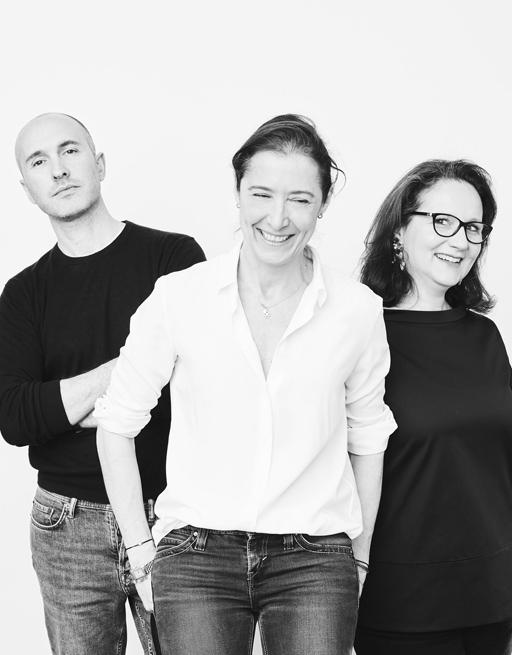 Emmanuelle Plescoff and Timothée Pic met while working for Christian Lacroix, Tim as designer, Emmanuelle as collection director. They hit it off, and decided to create Royalties in 2011. The first objective of Royalties: to design and fabricate a noble, high end sock collection, designed and made in France. Before Royalties, dress socks were akin to the Ford Model T: you could have any colour you liked, as long as it was black. Royalties introduced real distinction in the range of dress socks: colours? Yes. Motifs? Yes. Personality? Yes. Before all else. Royalties goal: to become your favourite pair of socks, both to wear and to look at. We dare to use colour, to play with motifs, patterns and textures. We push the envelope on both fronts: tradition and creativity. 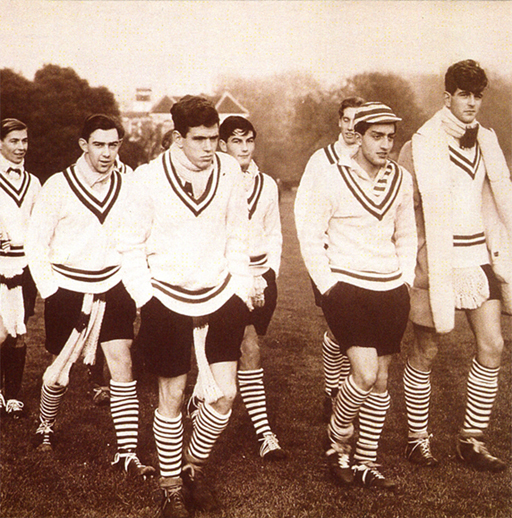 Our traditional side is familiar, open, sporty, preppy; a modern interpretation of Ivy League dress codes, Gatsby’s elegance, and Bowie’s flamboyance. Our creativity stems from our French attitude. Whimsical irreverence, not without a humorous twist, balanced together with quality and feel. We have fun creating our socks, and want to share the fun with you! We put as much care into production as we put into our designs. To that end, we work closely with two manufacturers, who have a deep understanding of our processes, a common drive towards a job well done, and a shared commitment to our environment and quality standards. Each design is thoroughly developed, using only high-end materials. We accept no substitute: our work is done when we’re 100% satisfied with it; and we’ll start over as many times as necessary until we are. No compromise. 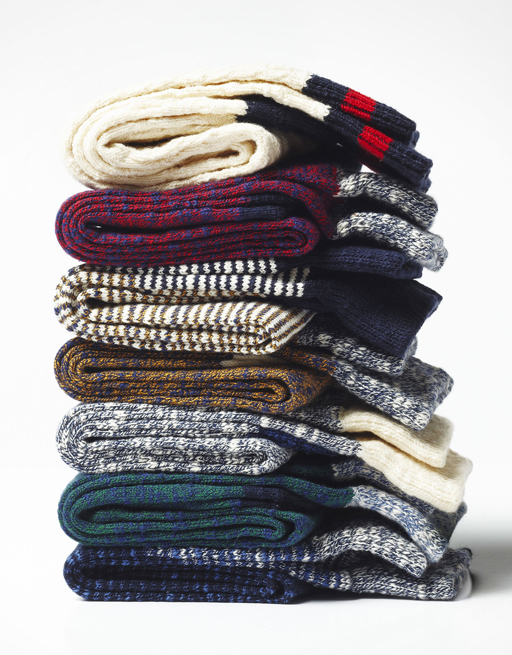 The result: comfortable, soft, and long-lasting socks. It’s as simple as that. Royalties’ reach extends over 25 countries, spanning from the U.S.A. to Japan, by way of Denmark, Spain or Russia. Our models can also be found displayed by our distributors such as Le Bon Marché in Paris, Selfriges in London, or Isetan Mitsukoshi in Tokyo. And in case there isn’t a Royalties stockist near you, we do ship worldwide.